Q: How long have you worked at The Patch? A: I like helping people. I get to interact with so many people each day between employees and customers. I hear the different things they need and I get to help find solutions and solve the problem. Q: What’s your Patch Pick (fave product)? A: I love the Lilly’s Chocolate bars. They are a great low carb treat! Sean started at The Patch in 1989. 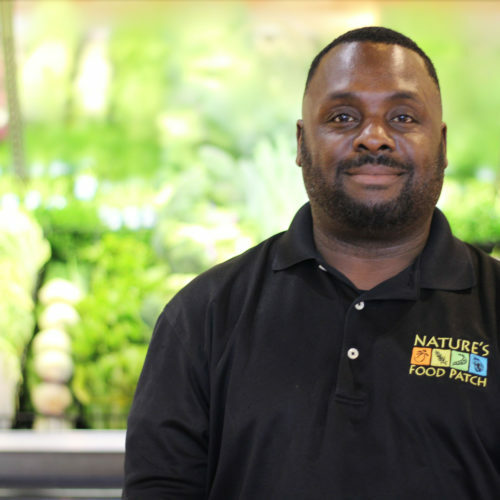 He moved to Clearwater and started working at Nature's Food Patch as a cashier & has done many jobs since being at The Patch. Sean enjoys the relationships that he has forged with the customers & the great people that he works with. Sean enjoys coaching his son’s soccer team & being with his wife and 3 children. He also plays basketball & enjoys going to the beach whenever he can. A: Liz Anthony protein bites. Q: Why did you want to work in the natural foods industry? 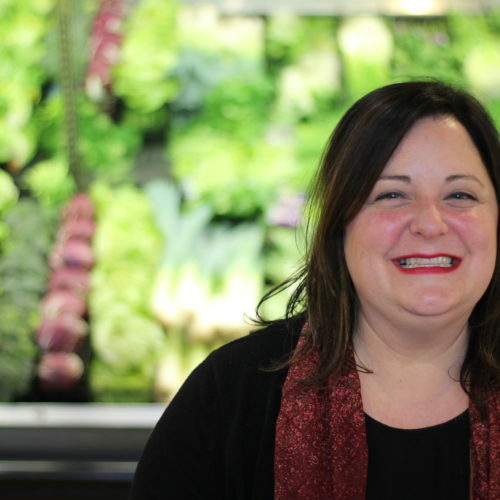 A: When I started as a part-time cashier in 1989, I wanted to work in a job with people that shared my core values. NFP felt like home and seemed like a “natural” fit. Q: What interests do you have outside of work? A: Going to the beach with my family, watching The Lightning play hockey, watching Orlando City soccer, and watching my kids play soccer, gymnastics & ballet. I also like doing projects around the house. 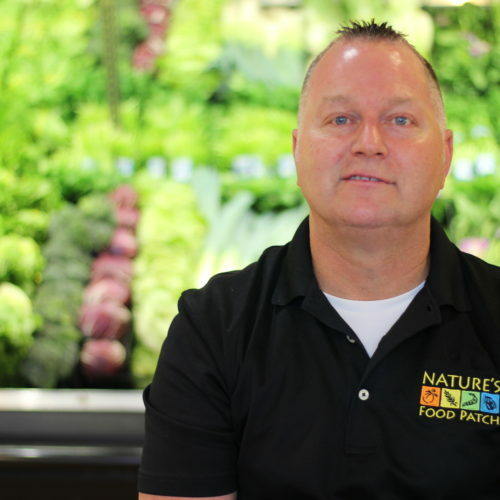 John has been with Nature's Food Patch since July 2010. 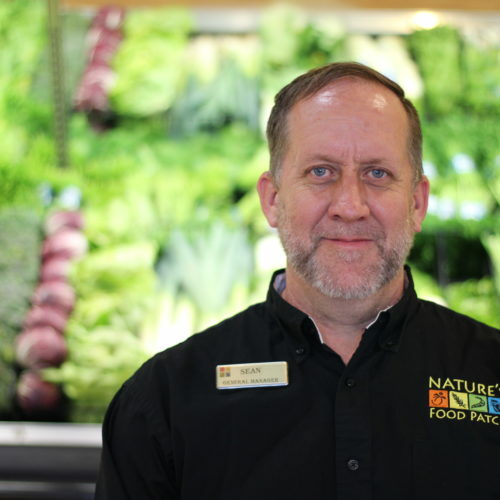 He has over 30 years of experience in the food industry, with customer service being one of his specialties! “John loves playing pool, golfing & teaching himself how to play the guitar. A: Working alongside our staff to ensure our customers have an enjoyable shopping experience & satisfy the needs of all here at The Patch. A: Hiking in the Carolina mountains & spending time with the grandkids. Q: If you were to sing karaoke, what song would you choose? A: Simple Man by Lynyrd Skynyrd. A: Helping people make healthy choices. A: I love the great outdoors, seeing live music, the beach, politics & soccer. A: Why? Why not!? Working in natural foods was a logical choice for me. I was a vegetarian athlete who was still learning how to eat better. I shopped here for years, and so it fit, plus I truly enjoy helping others with their health and nutrition goals. 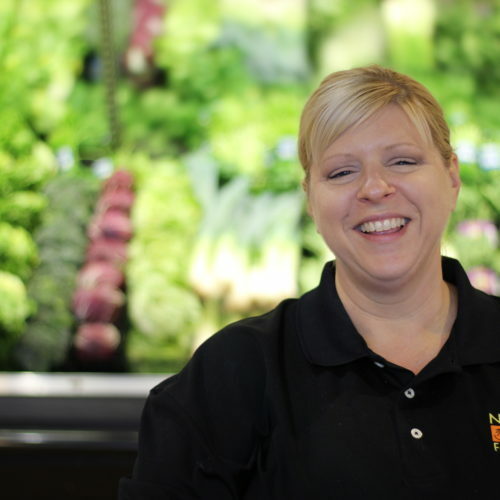 Cyndi grew up shopping at Nature’s Food Patch with her family and joined the team in 2002. Cyndi loves to camp & go to the beach in her free time with her family, including her two puppies! You can almost always find her with a cup of coffee in her hands! I am always learning & I get to work with great people as well as feeling involved in our community. A: The Peanut Butter Fudge Smoothie with a shot of espresso. Q: What are your three favorite things to eat? A: Hummus, salads & anything made from potatoes. Dara was a baby - well a teenager actually - when she first started at The Patch. She was around from 1995-2000 and then she went out to see the world. After 12 years of management and HR experience elsewhere, she returned to her roots and joined The Patch family again as our HR Manager in July of 2012. “I wanted to use my job skills with a company that was family-owned and had good core values.” Dara has since moved to the Business Office Manager. She is in charge of our Administration Departments & making sure things run smoothly. When she’s not busy running the NFP business office, she loves cooking, music, singing and spending time with her family and pets. A: Being able to offer employment to people for a family owned company with full time hours and benefits. A: Cooking, music, singing and spending time with my family & pets. A: Our Feeling Groovy smoothie. From 1997-2001, Cheryl held many different positions at The Patch. 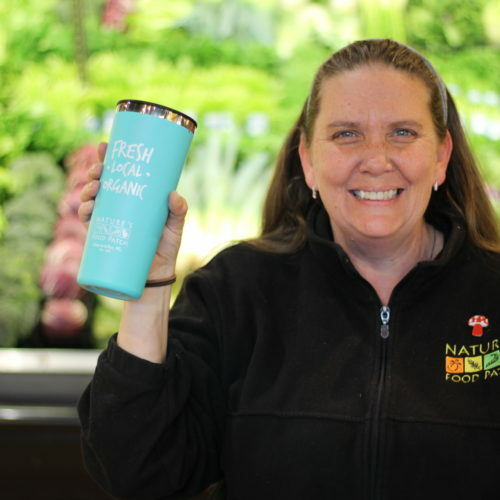 In 2007, she returned & worked in the Wellness department & then as a Shift Manager. Cheryl eventually transitioned into the Marketing Department, becoming the Marketing Manager & now the Marketing Director. She loves being creative. A: I like the variety of my job & getting to be creative on an everyday basis. A: Ashtanga yoga, sunshine, reading, biking, sleeping, playing with my dogs, eating good food & drinking coffee. A: Hail Merry & Samosas & Neat Balls from our Hot Bar! Ed has an extensive background in organic gardening. 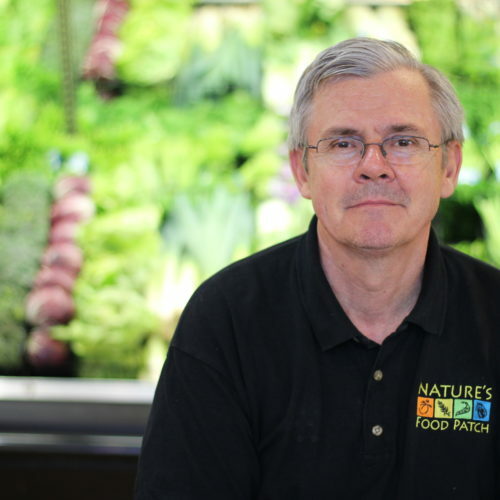 After college, Ed worked for “Community Supported Agriculture” for 18 years. 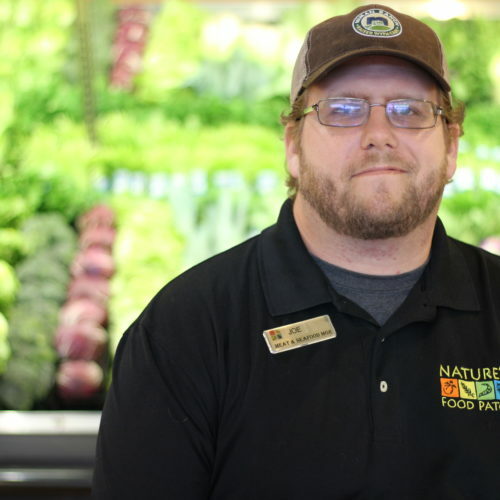 In 2002, he moved to Florida and started working at Nature’s Food Patch. 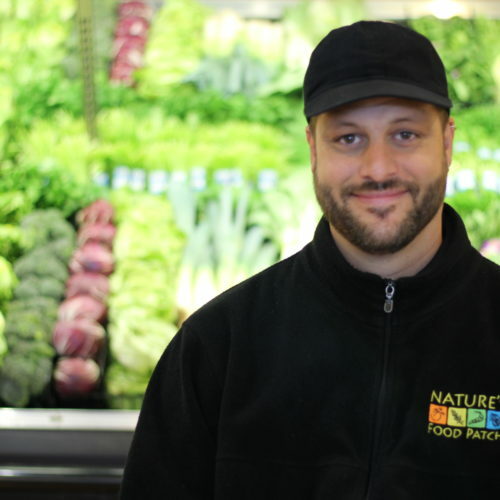 He loves being a buyer & working with local produce markets to get the best fruits and vegetables. In his free time, Ed enjoys spending time in his garden, reading, listening to classical music & visiting with his children and grandchildren. A: Organic produce for a healthy world. A: Dining out with my wife. Q: If someone wrote a biography about you, what would the title be? A: Becoming aware of the important things in life. Bill started with Nature’s Food Patch in November 2007. 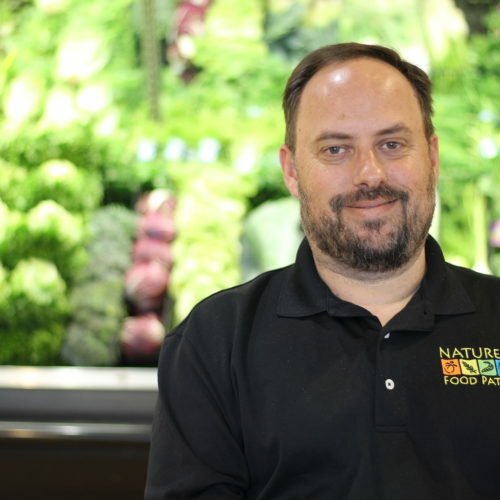 His experience in the natural food industry started in 1992. At The Patch, he sources & purchases wellness products found in our store, inspecting ingredients to be sure new items keep up with our high-quality standards. A: I really enjoy helping people get results in all aspects of wellness whether it is losing weight, relieving pain or whatever it may be. I will do my best to provide them with whatever service I can provide for them. Q: Any furry friends (or human family members) you want to give a shout-out to? A: My wife & I have 2 cats named Ramona and Drita. A: I enjoying helping people & interacting with people. A: The fact that I cheated death. My life has been a journey & I have been very fortunate to have had the experiences that I have had and there is more to come. This sort of cheesy, but this is me. Susie has been with The Patch since February 2015. Susie found her way to The Patch after moving to Florida from Ohio to escape the cold. Her decision to move to the sunshine state with her husband was a great one…she landed the position of Assistant Wellness Manager! 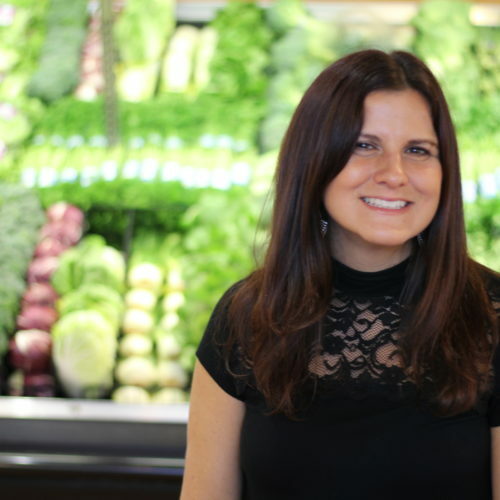 She brought with her over 20+ years of experience in the wellness & body care departments in the natural food industry. She loves the diversity of her job, buying not only vitamins and supplements, but body care as well. When she’s not at The Patch, she’s soaking up the sun on the beach & in her garden. #What do you enjoy doing outside of work? Going to the beach, cooking and currently growing Passion Fruit thanks to my husband, Tim. #What’s your Patch Pick (fave product)? #Why did you want to work in the natural foods industry? 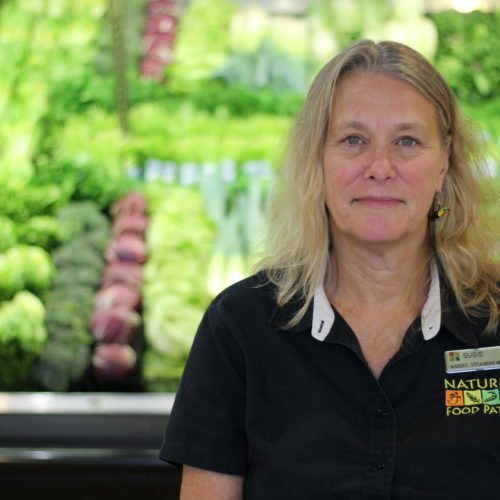 Whether it is buying organic, supporting farmers and local businesses, exercise, healthy diets, music, art or fashion, we all have a common thread at Nature’s Food Patch. I have made several life long friends in my career in the natural foods industry, I find that I am always learning something new. Not bad place to be! #If you were to sing karaoke, what song would you choose? Denis has been with The Patch since January 2018. 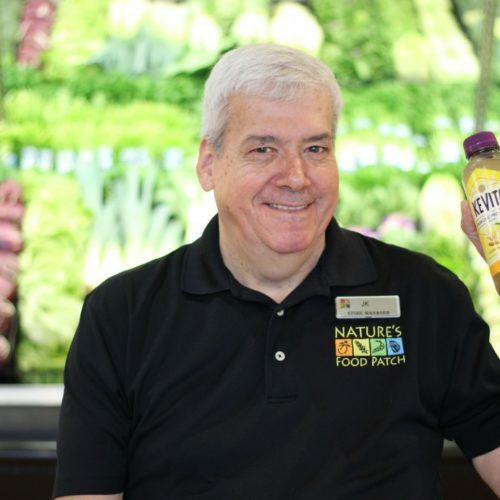 Denis has been in the food industry for over 20 years & in the natural/organic side for 5 years. He has a beloved cat and enjoys cooking, exploring great restaurants, sampling wine & beer, taking road trips, getting outdoors, learning about history & watching movies. A: Brown Eyed Girl – It’s easy to sing and I can’t sing. A: Those delicious deli hot wings. A: Zoom by The Commodores - the message of the song is great! A: Spending time with family, playing sports & catching a good movie. Avery has been at The Patch since July 2005. She helps manage the Kitchen and Deli departments. 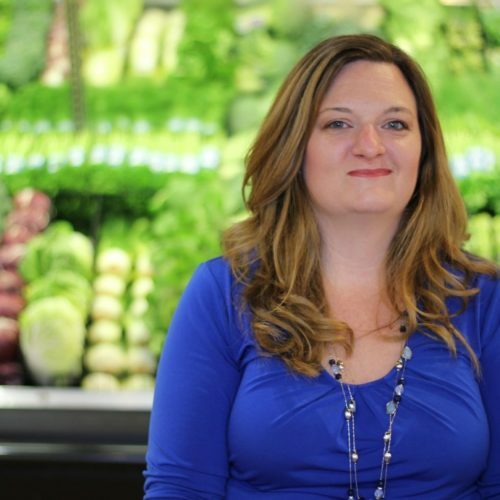 Prior to joining our team, she held many management positions in restaurants throughout the Tampa Bay Area. 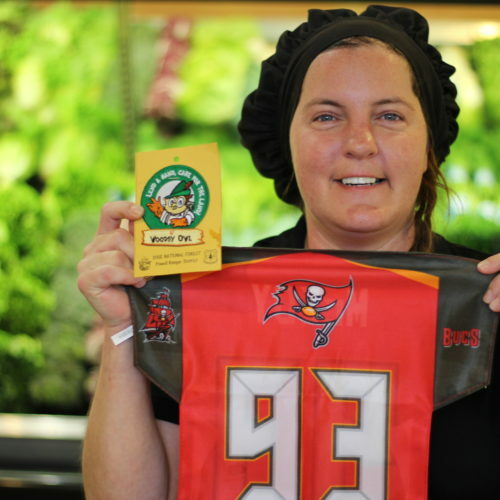 Avery loves working in her garden, listening to live music and cheering for her Tampa Bay Buccaneers! A: Working in an establishment with a cause I truly believe in. A: I've been interested in herbal medicine since I was 14 years old. The natural food industry followed suit. I truly enjoy working in an environment I believe in & continue to learn about. I love food, cooking & alternative medicine...put them all together & you have The Patch! A: Tacos, crab boils with andouille sausage, shrimp crawdads, taters and corn...YUMMY! Must have crunchies! Crackers and chips are my downfall. Luckily I work somewhere where I can get healthier ones! Ryan joined our Patch team in 2014. He brings 24 years of experience with him. I owned a bar that I converted into a health food restaurant in Michigan. A few years later, I moved to Clearwater and The Patch! I love coming to work every day & that is due to the people I am surrounded by.” Ryan loves music, movies, volleyball, kiteboarding & anything in water! A: Anything in the water, volleyball, music & playing Star Wars with my son. A: Green Magic Smoothie with peanut butter and blueberries. A: I would never sing karaoke. If I want to listen to people singing badly I'll just listen to my wife sing in the shower. Haha! A: My greatest accomplishment is of course, my best friend and son, Finn. Dina started at The Patch in 2006. She’s an animal lover & loves volunteering at local animal rescues, including a Patch favorite, SAL! She has a dog named Daphne who she rescued. She loves introducing people to new foods. A: I enjoy volunteering at the animal shelter, going to the movies & Disney, walking in the park & trying new vegan restaurants. A: My fave product at The Patch is frozen Mac 'n Chao. Joe has been with The Patch since September 2013 & has over 10 years of experience in Meat & Seafood. “My goal as a manager is to introduce new customers to the all-natural way of life and give customers a great variety of grass-fed and organic products.” Outside of NFP, he's the lead singer of Row Jomah, a rock band based out of Clearwater, with five of his good friends. A: Even though our clientele is very knowledgeable, I most like the ability to educate them on the the latest trends in Meat and Seafood. A: Any of our 100% grass-fed & local raised beef products, but especially the ribeye steak. I also love the 221 B.C. Berry Hibiscus Kombucha. A: To sell more natural food products to folks who otherwise wouldn't know much about the natural foods industry & for them to taste the difference. A: Steak, veggies with hummus and pizza. Become an NFP team member! A career at The Patch is more than just a “job,” it’s an opportunity to improve the wellness of our community, together. Many of our team members have made lasting friendships while working alongside like-minded people who put health front & center. If you, too, are passionate about natural & organic products, then we want to meet you!